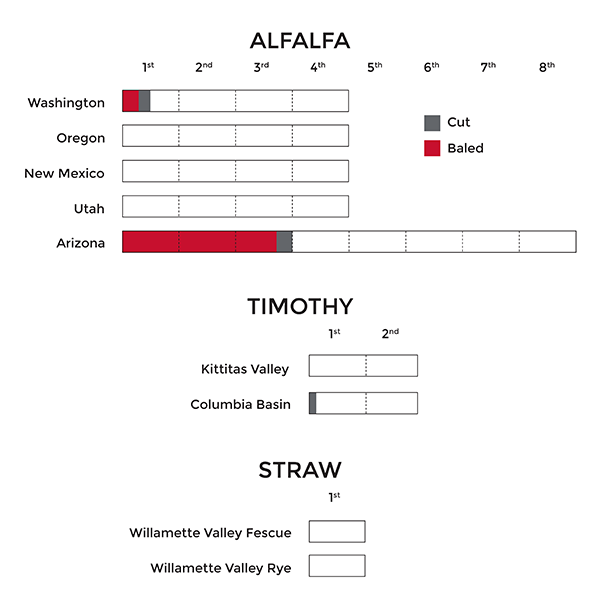 Alfalfa harvest in the Pacific Northwest is in full swing this week, and growers in all areas have begun to put up green hay as they work around weather. Much of first cutting in the south Columbia Basin is expected to be lowerend, while we’re seeing opportunity for better quality from the north/central Columbia Basin. Quality will be fully assessed once in the stack. Growers in Klamath Falls, Oregon have begun to cut this week as well, and working around some intermittent rain showers in the area. In the Pacific Southwest, about half of first cutting is down in New Mexico and baling is set to begin this week. Heavy dew and light wind have slowed curing slightly, however tests are expected to be high and hay is showing good color. Temperatures in Arizona are continuing to increase and test results are falling off as a result. There has been high demand for 3-tie bales from this region. A very small amount of Timothy was cut this weekend in the Columbia Basin, and baling is expected to begin mid-week. Some growers in Kittitas Valley will likely begin cutting this weekend or early next week. 2017 Timothy inventories are cleaning up nicely, and we are in good position for new crop supply. 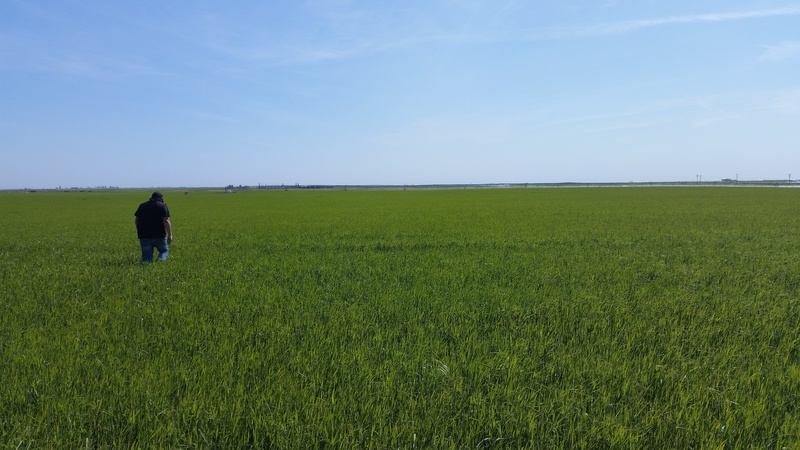 Schedules are moving along as expected without any quality issues, and harvest will begin around the first week of July.